1. Paint it. 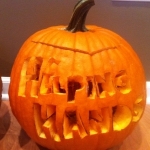 Pull out some fingerpaints and have your child use their fingers, or use a brush to decorate the pumpkin. If you don't have fingerprints, google homemade paint. There are tons of recipes on-line that you can make at home with ingredients found in your kitchen. In my world, the messier the better! 2. Paper it. Make a mixture of liquid glue and a little warm water. Mix it up and apply it to the pumpkin. Add torn newspaper, tissue paper, or any other paper that you have on hand. 3. Sticker it. Who doesn't love stickers. I don't care how old you are, stickers are a lot of fun! Let your child's creative juices flow. 4. Hammer it. I know it sounds kind of crazy, but kids love this! At our clinic we use golf tees and a mallet. Line up the tees and have your child hammer them into the pumpkin. 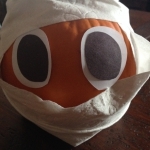 Once you remove the tees and place a light inside, you have a beautiful pumpkin. 5. Glitter it. This one can get kind of messy, but all kids love glitter! Use the glue mixture from above and have your child sprinkle glitter over the pumpkin. Put it out in the sun so they can see it sparkle. 6. Wrap it. Use toilet paper, string, or an old ace bandage. Have your child wrap the pumpkin. 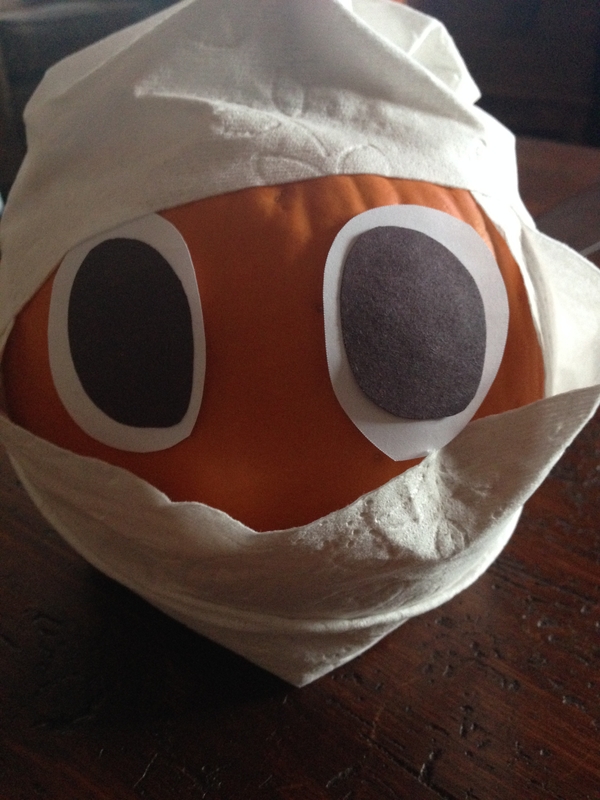 If you want to make it look like a mummy, make sure you add some eyes first. Pumpkin decorating is an excellent opportunity for you and your child to spend some time together. 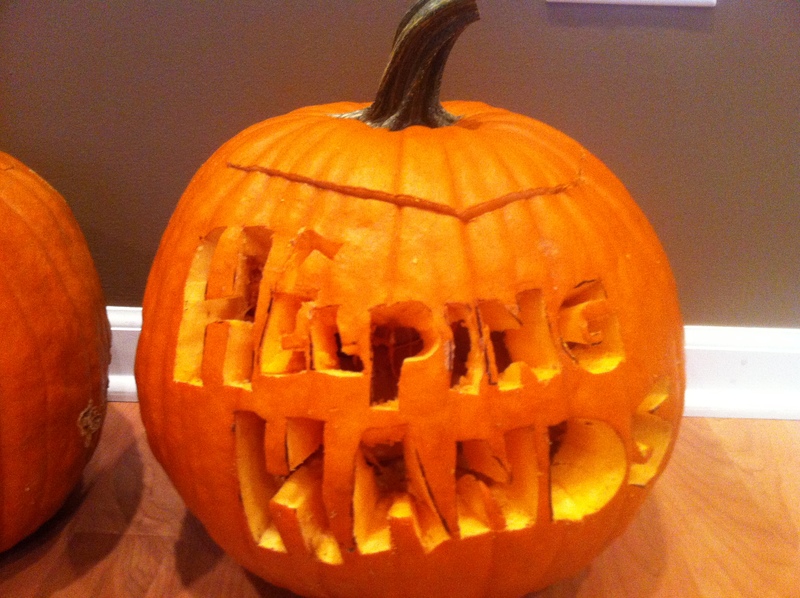 There are so many skills that are used while decorating pumpkins. Talk with your child about what they are doing. Tell them what an excellent job they are doing. Use what you have on hand to minimize the costs. And as always, have fun with them. Special moments can never be replaced!